The history of Brooklyn Botanic Garden started in the year of 1897 when New York State legislation reserves 39 acres for a botanic garden. The garden is founded in 1910, Dr. Charles Stuart Gager is the first director of the garden. In 2010, BBG celebrated its centennial. 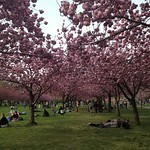 Now BBG is a wonderful place for people to rest, take a walk. It is also a great place for commercial photography and weddings photo shoot. There also art exhibits within the garden in different times of the year. 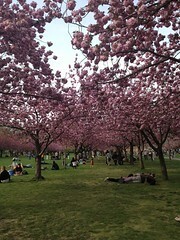 During the spring season every year, botanic garden is a great place for people to see the cherry blossom.